From the very beginning, Custom Art’s been recognised as a visually ambitious company. Early on, you were known for eye-catching swirls to the point where your IEMs looked like candy almost. Do you have a favourite or most memorable design from your earlier works? Well, I would say the very first “crazier” design we’d done was the most memorable – Sky blue shells with clear canals and coloured tubing. Over time, it’s clear that you’ve managed to progress artistically to the point where you didn’t have to rely on zany colour combinations to stand out. 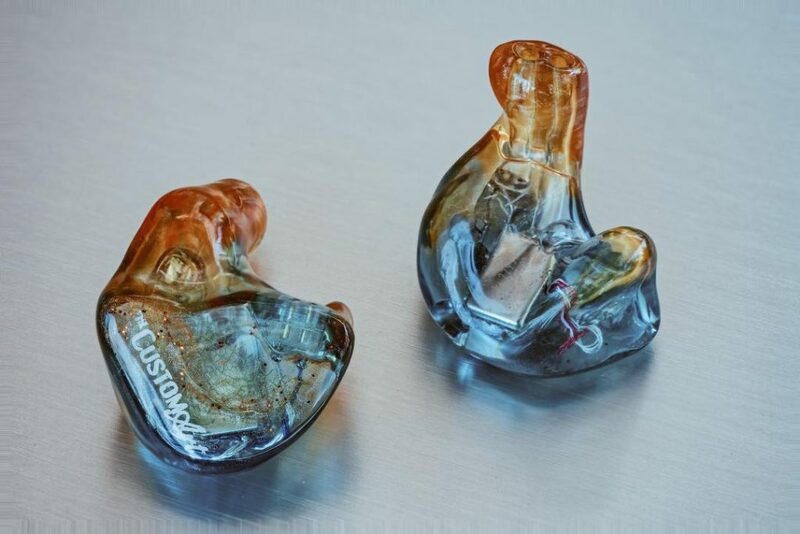 At this point, it seems like you’ve made IEMs with every possible colour, texture and material combination under the Sun. How much freedom does that give your team, and your customer base too? I sometimes feel like we have already done everything, and then our team comes up with something jaw-dropping. I love that I’m constantly proven wrong. There’s probably unlimited options still to explore, and we are always ready for a challenge. Do you have a favourite or most memorable recent design – not only for the end product, but for the journey behind coming up with it as well? Yes! We recently made hand-painted faceplates on FIBAE Black. The story behind the design and how we came up with it is very personal to us and the customer, and the effect is simply stunning. We will be posting pictures of it soon on our social medias. Do you have any designs that you’d consider Custom Art novelties? Your multi-coloured lacquer gradients are a particular favourite of mine. Many; hard to pick just one. Have you considered exploring – say – full-wood or full-carbon-fiber shell designs? Do you think you’ll ever be able to crack fusing swirls with 3D-printing? Are you a mind reader? (laughs) Yes, I hope so. For those who aren’t aware, please quickly run through what FIBAE technology is. 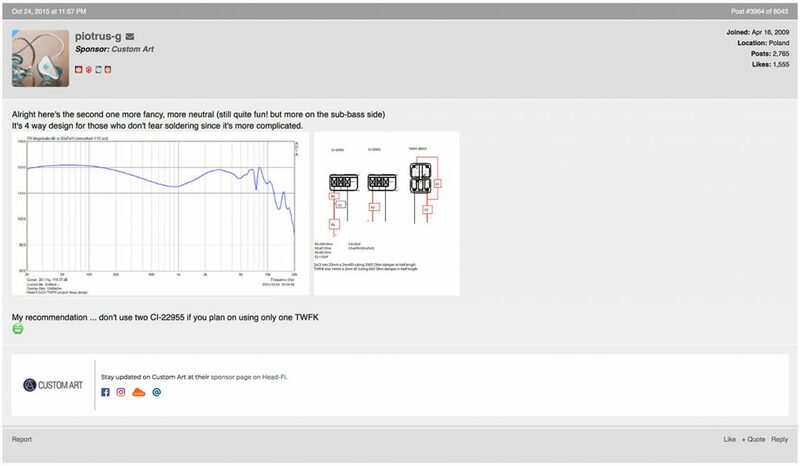 FIBAE stands for Flat Impedance Balanced Armature Earphone – I developed it in 2015 and it’s the world’s first approach to solving dependance of the IEM on low-impedance output amplifiers to perform correctly. How’s the feedback been on it so far? Have there been any surprising developments or comments, both good and bad? You know how they say when something does its job well, you don’t notice it at all? That’s how FIBAE is. It gives our customers peace of mind. 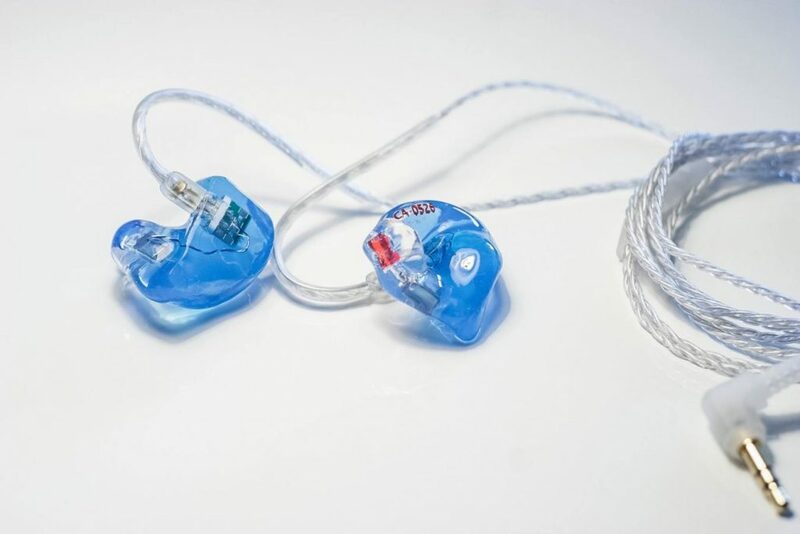 They can use their IEMs with practically any sound source and not worry about the impact on sound signature. Other than that, the feedback – especially from reviewers’ community – has been terrific! 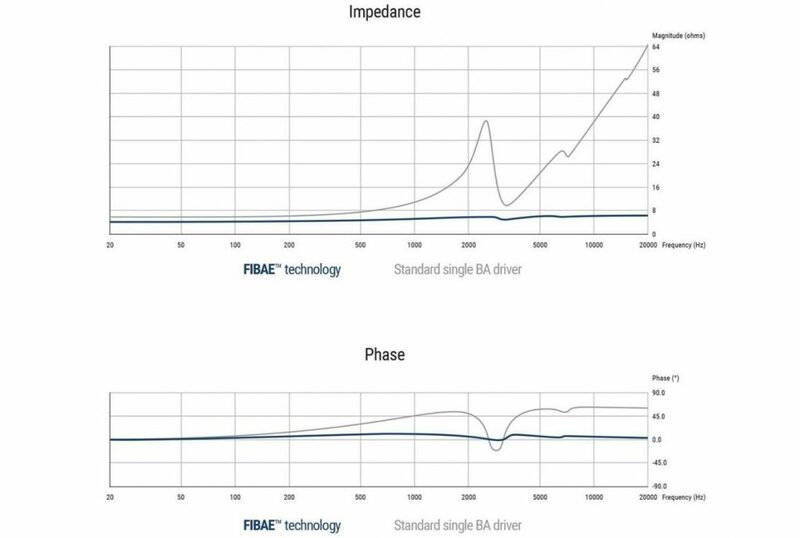 As far as interesting developments go, we started to pay attention to the effects of crosstalk on FIBAE performance, so it’s influenced our approach to developing newer models and choosing components. What’s coming down the pipeline with FIBAE? You’ve progressed by a significant margin since the days of the Music One and Pro330v2. Aside from FIBAE, in what aspect do you think you’ve grown most? Quality – for sure. Even though back in the day we were regarded as having high quality, if you compared our products from 2014 to how they look now, you’d notice the difference is staggering. Secondly, I would say visual designs – some of the looks our team comes up with make truly breathtaking pieces of art. 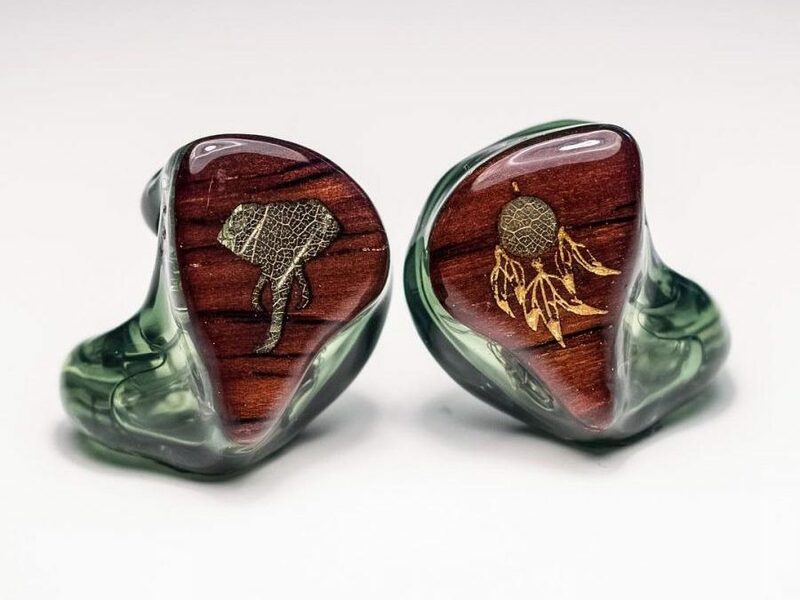 And if we go even further back, I’m aware you got your start as an active member of the Home-Made IEMs thread – a community of people who’re interested in building their own custom IEMs. If I may ask you to look at your first few posts on the thread, is it astonishing to see how far you’ve come since then? Yes! Sometime ago, I decided to reread that thread from the beginning. I saw a few of my first comments and cringed hard! (laughs) I decided to leave them as they were, because they do indeed say a lot about my progress. The most amazing part to me is, you’re still a really active contributor on the thread! I’ve seen you provide solutions to people’s issues, answer questions and even donate designs for people to try out – breeding your own army of mini-Piotr’s almost. How does it feel watching a new generation of designers grow before your very eyes? Well, I was active; I’m not anymore. There are other users in that thread who have sufficient knowledge to help beginners. It’s nice that other people have this passion too, and it’s great that that particular thread has produced dozens of companies who are now top dogs of the IEM world. How important do you think it is to balance generosity and competition (rather than lean too far in one direction or another)? Now that Custom Art has very strong IPs, I try to be more aware of what I can and what I can’t talk about. Still, I always try to be as helpful and provide as much detailed information as possible.